DAVID LE/Staff photo. 3/31/15. 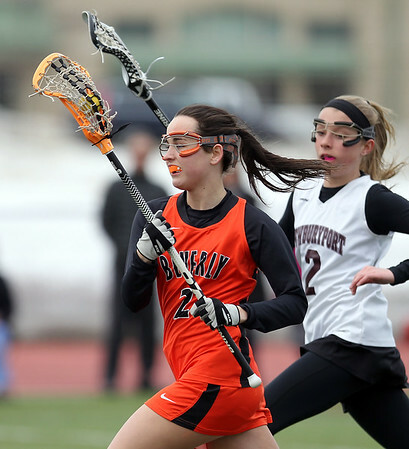 Beverly's Anna Hayden (2) sprints upfield with the ball while being pursued by Newburyport's Molly Kearney (2).